IN 20 February 2013, a man in his mid-twenties, housebound, with anxiety and agoraphobia, typed into Google in a fit of desperation: "God I'm depressed." From the search results, he ended up at a website he had never seen before: www.christianity.org.uk. On it, he saw a link that would begin an email conversation with a Christian. At the other end of the email was an evangelist with the Church Army, Peter Graystone. Gradually, the man's story become clear: a bullying incident at school had left him with deep anxiety, and, almost a decade later, he rarely felt able to leave his home. He asked Mr Graystone if there was a church that he could recommend, and he began attending. He then volunteered at a charity shop near by. Later, he gained some qualifications, and, by October last year, he had been baptised and was employed full-time. The story was one of several heard on Monday, in central London, at an event hosted by the Christian Enquiry Agency, which runs www.Christianity.org.uk. 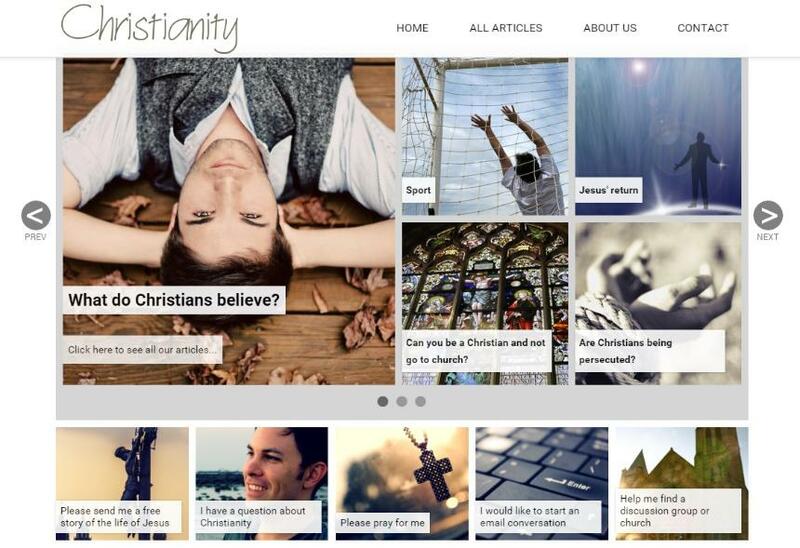 The site features articles that answer questions about God and faith, as well as the opportunity to ask your own question. The website, which Mr Graystone began co-ordinating three years ago, has just been relaunched with a new design. He urged those at the event, hosted by the Evangelical Alliance, to publicise the website's address on their business cards, email signatures, and church noticeboards. Mr Graystone, with a small group of volunteers from several denominations, handles the scores of emails that arrive each month, as well as the more than 300,000 visitors to the website last year. He had other stories to tell. He recounted how a Muslim student in Manchester emailed him through the website after becoming intrigued by Christians at his university. He also asked for a local church, and, on giving Mr Graystone his postcode, discovered that he lived just half a mile from Mr Graystone's brother and the church he attends. Later, having become a Christian after attending church in Manchester, he was rejected by his family in Pakistan, and a fatwa ordering his death as an apostate was issued. He eventually successfully claimed asylum in Britain, and regularly attends church. Not all the stories were happy. One woman visited the website, despite being an atheist, and, intrigued, asked for a copy of St Luke's Gospel. Forty days later, having read it cover-to-cover several times, she became a Christian, apparently to the shock and anger of her non-believing husband. He refused to let her attend church, or talk to their children about her faith, or openly read the Bible in the house. "My husband thinks our marriage is untenable, now I'm a Christian," she emailed Mr Graystone. After a short exchange, she never contacted him again. Those who work with Christianity.org.uk have a strict rule that they only reply to people, and never pester them; so Mr Graystone has no idea what happened to her. "I don't stop praying, but I did stop writing [to her]," he said. "I find myself thinking - have I done something wrong? But I have to just commit that to God. It's important not to run down the road after them waving a banner saying 'Repent'." Before Mr Graystone spoke, Dr Bex Lewis, from the University of Durham, gave an outline of the latest research into online evangelism. She encouraged the audience to consider the virtual world not as a new realm, but simply as part of ordinary life for millions of people - especially young people. "It's social media," she said. "It's all about relationships. Let's not go off and have our own 'Faithbook', or Christian ghettos. We can't push out effective content online until people are listening." Other parts of the Church are also contemplating how best to use the internet. A blog from the Church of England's communications team last week encouraged congregations to use a new app, Periscope, to stream live video of their services online, through a smartphone. On Monday, the Scripture Union sent a questionnaire to supporters, asking how much they used the charity's website or online resources, and how it could be more relevant on the internet. Click to return to "News on Grapevine"